Welcome to my website. It gives you a glimpse into my first novel, "Alyda's Bluff," and into the passions and interests in my life that are connected to it. 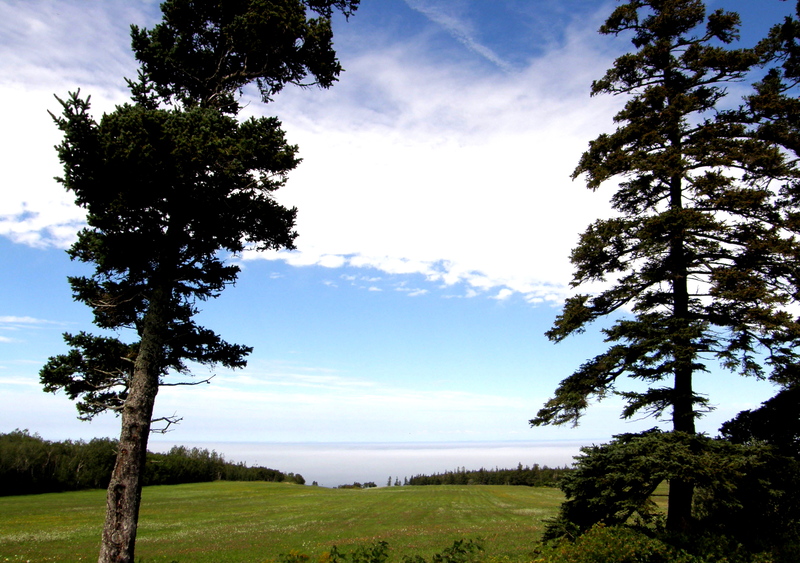 I hope you enjoy my blog musings and take time to view the photo galleries of Nova Scotia's beautiful North Mountain and Bay of Fundy shoreline. Alberta is my home now, and I will soon include writings about my experiences in this province. Stay posted as well for new photo galleries. A professor of Spanish in Ecuador once asked me if I enjoyed any unusual hobbies or past-times. “Exploring old graveyards,” I offered. The teacher glanced sharply at me, shuddered when I mentioned the word ‘graveyard.’ What earthly interest could I have, he wondered, hanging around in those? Well, Señor, heritage graveyards are fascinating places to visit. I don’t go there to indulge a ghoulish interest in death. On the contrary, I find graveyards fertile territory my for my inner history buff. Add that to my list of passions of well. My interest in old graveyards started years ago in a tiny seaside cemetery in Lunenburg, Nova Scotia. Here’s a picture of the two tombstones that got me hooked. The gravestone on the right honours Sophia Matilda, who died on November 21, 1861 at the age of 33. Her consort, John Young, is buried beside her, as is their daughter, Ida. Ida was born on the same day that her mother gave up the ghost. I was struck by the poignancy of this history: John Young’s wife died in childbirth, a common fate for young women of that time, and the baby survived the birthing ordeal, only to die at the age of nineteen months. Can you imagine the tot, curly-headed, in a ruffled frock, squealing in delight as her father tosses her into the air? The agony of the father, losing this child and her mother in such a short period of time? And John Young didn’t get to live long after little Ida’s passing; he died just three years later at the age of forty. Life was often brutally short in those times, and some inscriptions even provided cause of death: Died in collision with a steam engine. Killed by a cartwheel running over him. At least a short stay on this planet signalled early admission into eternal paradise. The epitaphs found at the beginning of each chapter in my novel, Alyda’s Bluff, speak to this theme. Here’s one of my favourites: This lovely babe so young, so fair / Called hence by early doom / Just came to show how sweet a flower / In paradise would bloom. Quaint? Yes, especially to many people in our post-modern secular age. Beautiful? Yes. Once again, the inscription offers us a poignant glimpse into the values of another century. Poignancy, and poetry. I’ll close with a parade of names I’ve discovered on different heritage tombstones in Nova Scotia: Ambrose, Damaris, Aminella, Havilah, Rhedora, Lavenia, Allithea, Obediah, Sybley, Zebina, and Primrose. Tongue-friendly, all of them, aren’t they? Little Primrose Kilpatrick was actually a boy. He died on November 21, 1888 at the age of 9 months, and lies in the Hillside Cemetery of Port George. Right by the eternal waters of the Bay of Fundy. The old burying grounds of Canada have always offered me peace. Peace was evidently not on the mind of that Spanish professor who reacted negatively to my interest in them. I didn’t learn the reason for his aversion to graveyards, but I’m willing to keep an open mind about it. On my last day in Ecuador I visited a magnificent cemetery in Guayaquil, Ecuador’s largest city, and experienced a terrifying encounter there. I’ll tell you all about it in one of my upcoming blogs. Love this. I think that little hidden grave yard in the woods on Mt. Hanley got me hooked. I know the one. Archaeologists of the future are going to love it!